Happy Monday!!! Hope you had a fab weekend. I sure did. 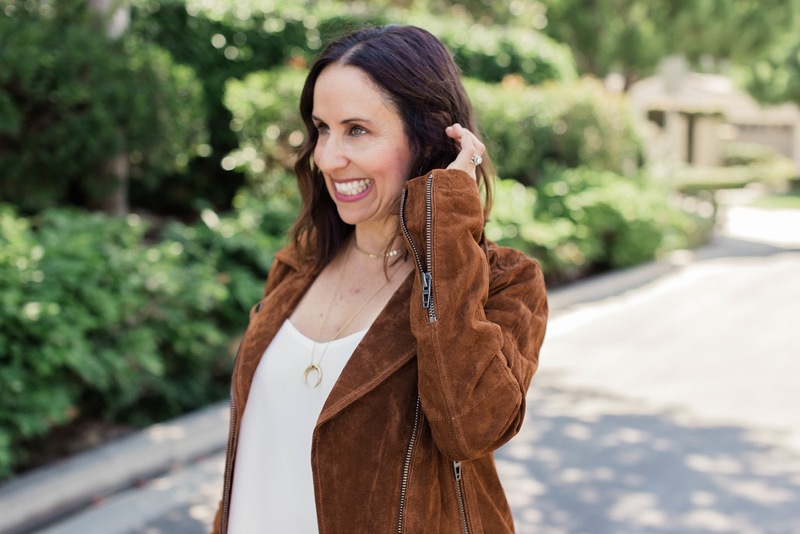 I spent time with one of my favorite girlies and went to a super cute beauty event at Neiman Marcus and then such a fun dinner with the hubby. Weekends make me so happy!!!! !I would love to hear what you did!!! 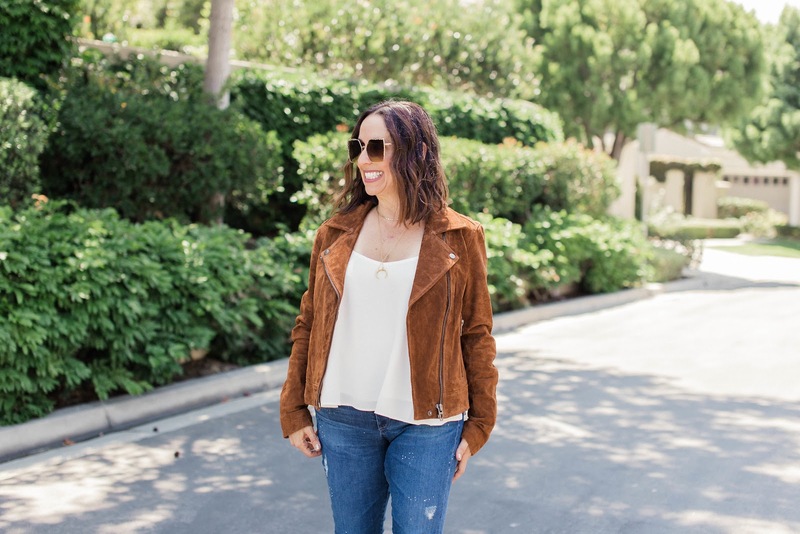 Today I wanted to talk about an important piece for you to invest in as part of your fall wardrobe-- the suede Moto jacket. I picked up this one by Blank NYC at the Nordstrom sale. I love everything about it-- the color, the texture and the style. I love this Moto because it goes with everything. I can layer it over a cute dress or over a tank and skinnies like I did here. 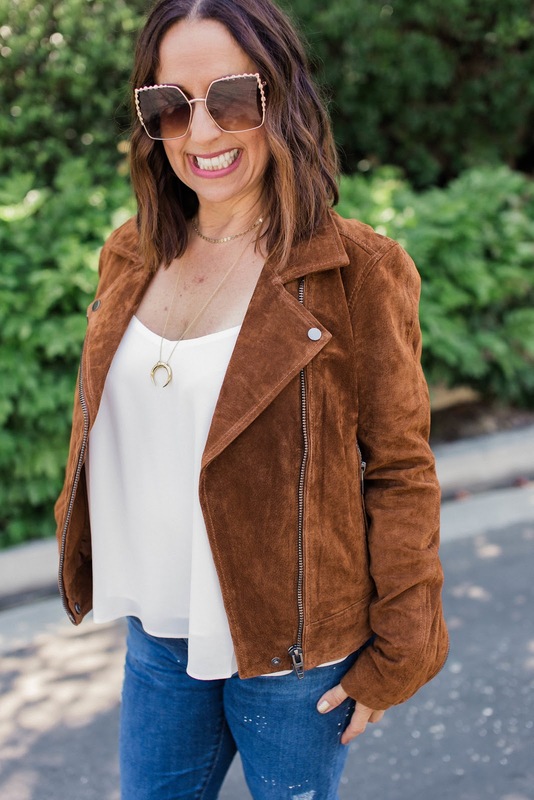 I paired this jacket with my fave AG skinnies, the perfect cami, some cute mules and these adorable sunglasses. This outfit screams welcome fall. I love everything about this look and it is so easy to put together. What do you think? Thanks to Gabi Wells for photos. You can shop this look by clicking on the links above. Happy Reading!!!! YAY! It's out fave moto!! Love this color and now I wish I had it too! I might have to borrow! Love you!